SEO for photographers, or indeed SEO for any business that relies on an online presence is an important topic. Unfortunately however, it’s also a rather complicated one. So, SEO for photographers basically refers to any way we can get closer to page 1 of Google. If you are a wedding photographer for example and a newly engaged woman types ‘wedding photographer’ into Google, on what page do you appear? 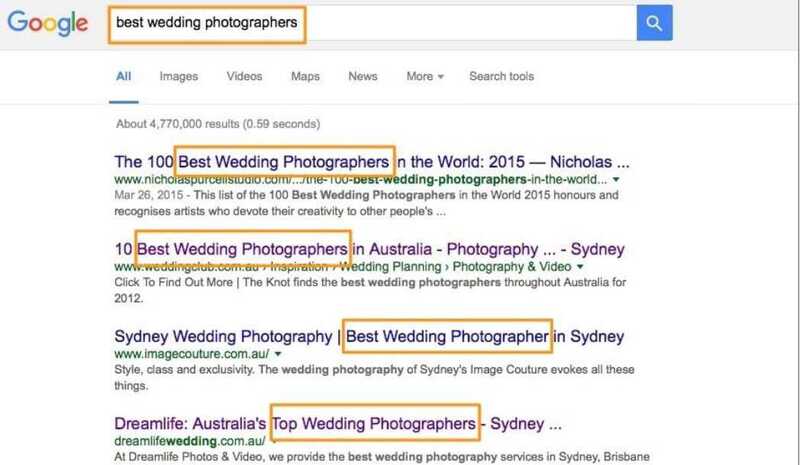 What if I were to tell you that I’m currently on page 1 in Google.com.au for that exact (highly competitive term)… and I’m not even a mildly famous wedding photographer? What’s more, I haven’t spent any money on SEO services, nor have I put in more than a few hours effort. Oh, and did I mention I haven’t even done anything SEO related for over 3 months?! Ok, so now I have your attention, let’s see how we can improve your photography website’s ranking. But first, some proof! It’s easy for me to talk about how my photography SEO efforts are working, but I wanted to show you first hand exactly the kind of results I’m experiencing. Watch the video below which should illustrate to you the current position I’m in, competing in the highly competitive Australian wedding market. On the topic of actual SEO tips for photographers, there are lots of things you can do to your site which will influence its location in the search results. To make things as simple as possible, here are the 3 things hat have brought about the biggest results to my own photography business that you can see in the video above. Now admittedly, each of those topics are large and comprise many different elements, but I’ve distilled them down to the SEO tips for photographers that work the fastest. In this post I’ve included the first of the topics – a simplified guide to perfecting your On Page SEO, taken from my book More Brides. I’ve received a lot of good feedback about the 4 SEO chapters, which can in fact be applied to any online business – not just wedding photography. You can read and hear some of the feedback here. 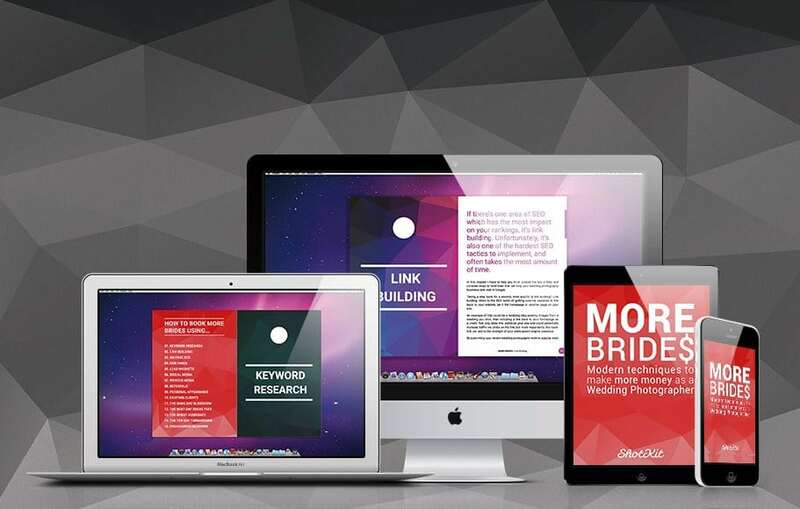 If you’re interested in learning lots more SEO tips for photographers, as well as plenty of actionable advice on marketing for photographers in general, click here to get your copy of More Brides. (This article on On page SEO for Photographers also appeared in the September 2016 issue of Professional Photo Magazine). On Page SEO for photographers refers to all measures that can be taken directly on your photography website in order to improve its position in the search rankings. It consists of making small changes to various elements of your site’s content to make the site’s pages appear higher up in the search results. In the ever-changing, mysterious beast that is SEO, On Page SEO is a relatively simple but none-the-less powerful technique. It’s also one area of SEO that’s an effective way to build and maintain consistent traffic to a website. 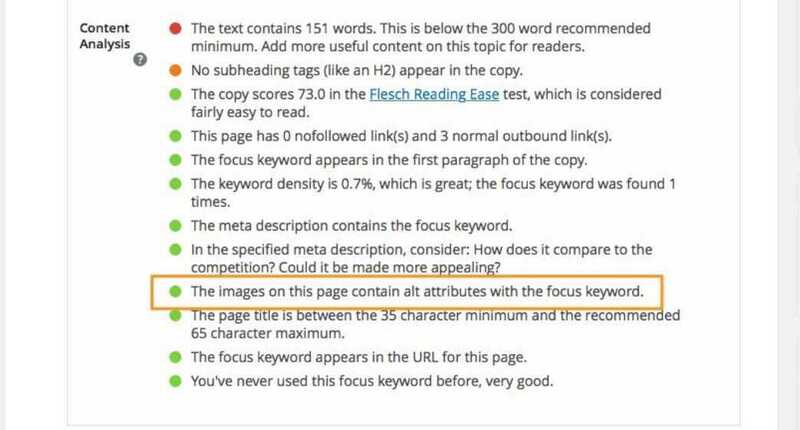 It’s not a set-and-forget measure by any means, but as long as you abide by some basic rules, On Page SEO requires little upkeep. I’m going to teach you the easiest way to make sure your On Page SEO is sound. I’ve tried to keep the SEO tips basic and easily accessible for all levels of website owner. Even if you’re adept with SEO, keep reading as you may be reminded of something you need to update. If you’re using a WordPress website, install the Yoast plugin. If you’re not using WordPress, don’t worry. Yoast won’t do anything magical to your site to make it rank well in Google – it’s just a simple way to check you’re on the right path with your On Page SEO efforts. If you’re not using WordPress, your website platform should have a way for you to make the edits described in this chapter. If not, I strongly advise you to look into creating a WordPress website for your photography business. Here’s a guide I created that will show you how to make a photography blog using WordPress. Yoast has some powerful features, but at this point we’ll be using it for it’s basic functionality – that of making sure your On Page SEO is set up properly. The basics of post-level On Page SEO (i.e. SEO concerned with an individual blog post on your photography site, for example), are outlined below. We’ll call them the ‘ranking factors’, in that doing these things properly will increase your chances of ranking well in the search engines. I can’t tell you how to write good content in your blog posts. We’re photographers, not writers after all. However, one thing is for sure – without text on your blog posts, Google isn’t going to be too happy. Google has a tough time deciding what your photos show, so by using plain old text, you’ll give it a greater chance to discover what it is you’re talking about in your blog post. 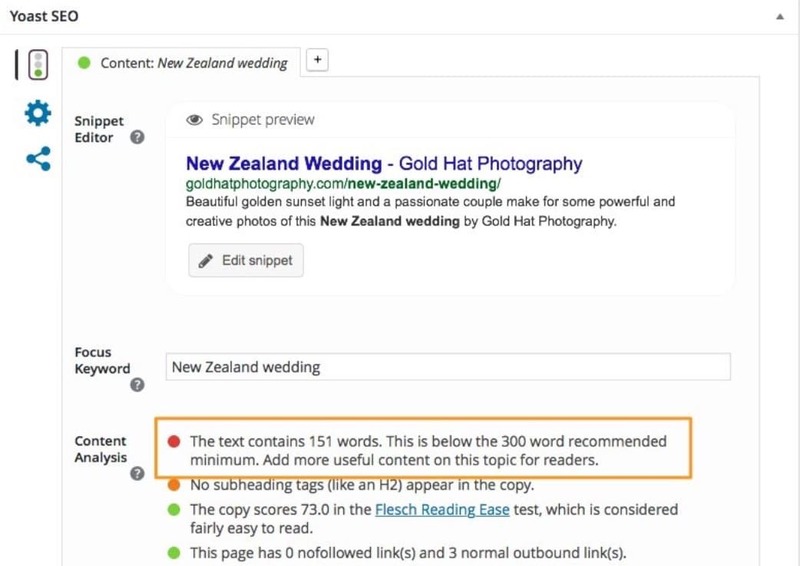 As for how many times you should mention the photography keywords in your content depends on who you ask, but the Yoast plugin can give you a fair indication of what to do. Having said this, take Yoast’s feedback with a grain of salt. Our blog posts as photographers are typically characterized with many images and a few words, so Yoast will remind you to add more text. However, I’d advise you to think about your user’s experience first and foremost – if the addition of a lot of text doesn’t contribute to the story you’re trying to tell, don’t worry too much about forcing more words into your post. Keep your content on point, and if you can sneak a keyword into your text naturally, all the better. Writing well doesn’t come naturally to everyone, so you may want to outsource this every now and then. Sites such as Hire Writers and even Fiverr offer affordable freelance writers, but you get what you pay for. Investing in a good copywriter is advisable if your budget allows it. The Title Tag is what appears at the top of your search engine result, and is an important ranking factor for SEO. The Description is the text beneath the Title and URL. It won’t help with ranking but may help encourage users to click through to your website, so should be given some thought. If the keywords the user has entered into Google appear in your Description, they will be bolded. As you can see in the example above, Google’s is getting better at recognizing words synonyms and other semantics, making search results more dynamic than in the past. 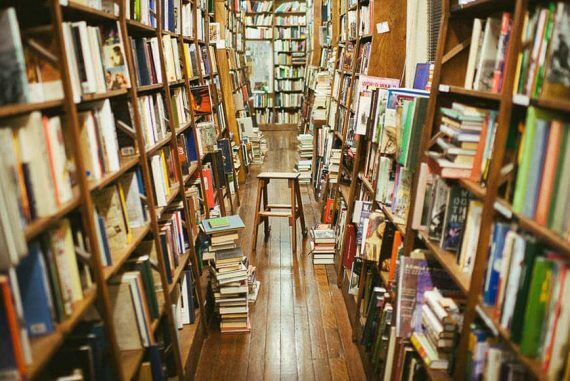 Therefore, it’s wise to put some thought into it. You’ll also want to include the photography keywords you’ve decided to target at the start of the Title tag. Using Yoast, you’ll be prompted to enter a Title tag, and will be shown a preview so you can see exactly how long it needs to be. Any longer and your preview text will be truncated – not a huge deal, but try and avoid it as it looks messy. If you don’t have Yoast, there’ll usually be a way for you to enter a Title tag using your software’s dashboard. If not, get a developer to add it to your blog post – I recommend hiring someone from Envato Studio who seem to have a good standard of worker at affordable prices. An additional importance of having a good Title tag is that other websites that will use this text as the link ‘anchor text’. As an example, posting a link to your blog post into Facebook to share it with your fans will generate a Facebook preview which shows your Title tag text. In short, make sure you have good Title tags that are targeting your chosen photography keywords and make users intrigued enough to click. Title tags are a low-effort, high-impact On Page SEO task that you can start work on today. The H1 appears on your webpage, usually in larger text at the top of the post as a kind of title. It tells site visitors what the page is about, and is a ranking factor in SEO. The H1 is often confused with the Title Tag since they share a similar function. The purpose of both is to contain the title of your webpage, but the key difference is where their content appears. This difference impacts how search engines and web surfers analyze your webpage. For the Title Tag, you should be asking yourself, when a user searches for my keyword, what does the page title in Google need to express in order to assure the user that my page contains related content. For the H1, you should be thinking how you will introduce your webpage’s content when a user actually lands on your webpage. The H1 is a bit like the title to your story. If you’re using WordPress, it’s often just a case of selecting the text you want as your title, then clicking on ‘Heading 1’ from the text format drop down menu. One word of caution – some WordPress themes create H1’s automatically, so you may have to delve into the HTML code to double check that one doesn’t already exist. SEO best practices state that you should only ever have one H1 on your webpage, so before adding anything manually, do a quick search in the code for any existing H1’s that you may need to edit or remove. It’s important to have a good URL structure within your wedding photography site. Avoid messy URLs which contain the category of the post, the date, and whatever other irrelevant information in them. 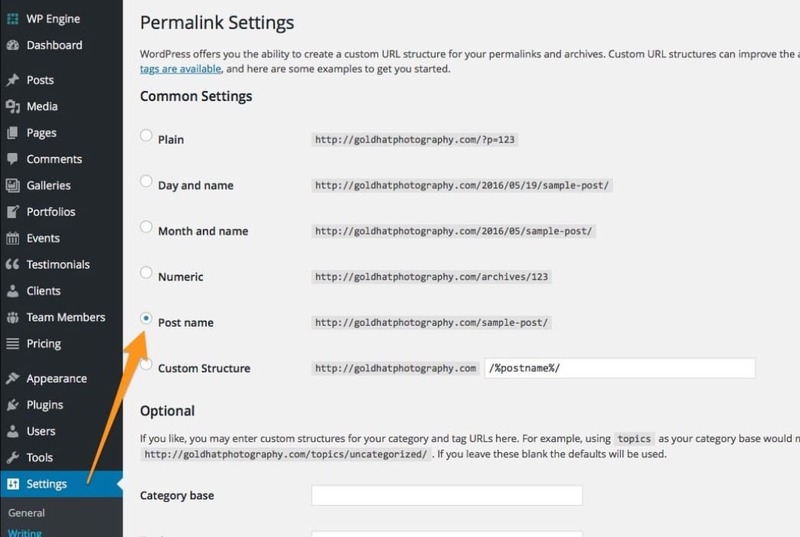 If you’re using WordPress, one of the first things you’ll want to do if you haven’t already is to change your Permalink structure to ‘Post Name’ (select ‘Settings’ in your side bar menu, then ‘Permalinks’ and choose ‘Post Name’). When composing your WordPress posts, you’ll also be able to manually modify the URL when you are creating your post by modifying the ‘slug’. Just click the ‘Edit’ button next to your post’s ‘Permalink’. N.B. don’t edit your Permalink after your blog post has gone live as you could run into some broken link issues. There are ways around this with a 301 redirect, but that’s getting a bit technical. Make sure your URL isn’t too long, but if possible, keyword rich. Google has stated that the first 3-5 words in a URL are given more weight. Keyword rich URLs are slowly becoming less relevant, but at the time of writing, Google is still bolding them in the URLs and descriptions of its search engine results. Any way you can highlight your space in the Google results is a good thing, so take the opportunity to stand out. For whatever reason, some bloggers are cautious about linking to other websites. Perhaps they’re afraid that the user will go and not return, or maybe they’ve heard rumours about it somehow ‘diluting’ your SEO strength. On the contrary, linking to good quality websites can actually have a positive effect on your site’s SEO – see what I did there?! Outbound links to related pages is a relevancy signal that helps Google figure out your blog post’s topic. It also indicates to Google that your page contains quality content. 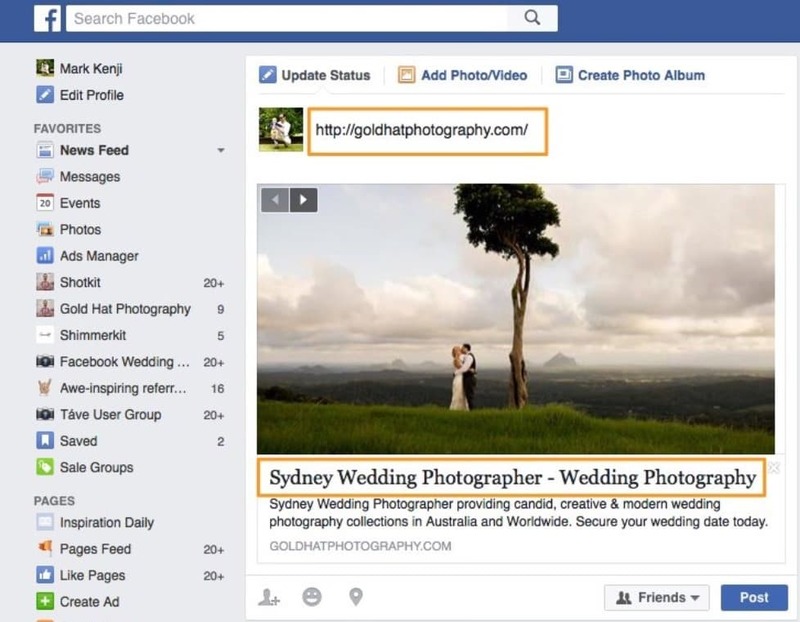 With a wedding photography post, this can be as simple as linking to your vendors within the content, e.g. Mary and Bob got married at the (link goes here—>)Crowne Plaza in Hunter Valley(<—-), an exquisite location for a wedding. If you’re going to be writing a lot of content (see Chapter 04 Hub Pages of More Brides for the most effective content strategy for your photography website), a good rule of thumb is to link out to other sites 2-4x per 1000 words. Keep in mind though to always link out to quality sites, as this will reflect on your own site’s authority. As we’re on the topic of linking, it’s also worth mentioning here that internal linking is also an effective and simple form of SEO. One way to do this is to find your best performing post (whether by checking your traffic, your social shares, or your backlink structure), and try and link from that post to another post on your site that you’d like to give a little boost to. 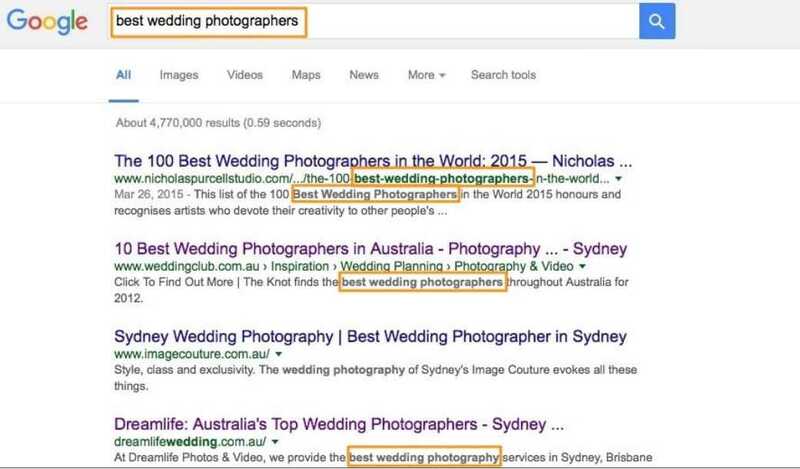 If you can link to your other posts using a photography keyword you’re trying to rank for, all the better! How fast your site loads is also considered very important for both SEO and user experience. Unless you’ve chosen an all-in-one website/hosting solution such as Square Space or Flothemes, there’s a good chance you’ll be on ‘shared hosting’. Shared hosting is the cheapest way to host your website, but basically means that there will be hundreds of other sites on the same server as your own. This isn’t great for site loading speed. As our photography websites will be very image heavy, it’s even more important to have a fast loading site. Your next client is no doubt impatient, having seen too many other photographers’ websites already, so make sure you’re showing your images as fast as possible. If you’re using WordPress, check your site’s speed here. If you’re not using WordPress, check it here. Then make a decision based on your score as to whether you think it could load faster. There are lots of ways to speed up your website, but usually the biggest improvement will come from upgrading your hosting. If you’re ready to invest some money to try and rank better in Google (and also help you ‘convert’ more of your website’s traffic – i.e. increase the number of visitors to your site who fill in your contact form), I’d recommend trialing WPEngine as your host if you’re a WordPress user. You can find out more information on WPEngine here. WPEngine is made specifically to host WordPress and provides the fastest and most reliable hosting I’ve experienced. In addition, it includes something called a CDN, which will make your images load much faster. 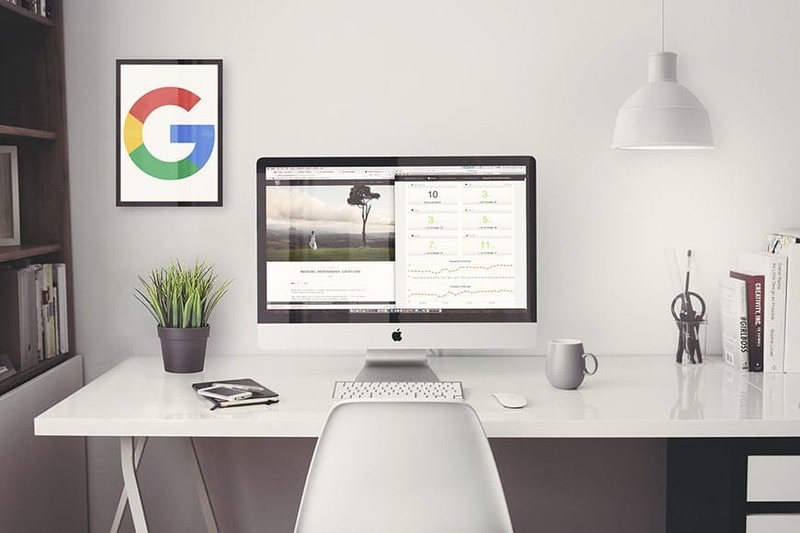 You can click this link to try WPEngine out risk-free for 60 days just to check if it makes any difference to your business. 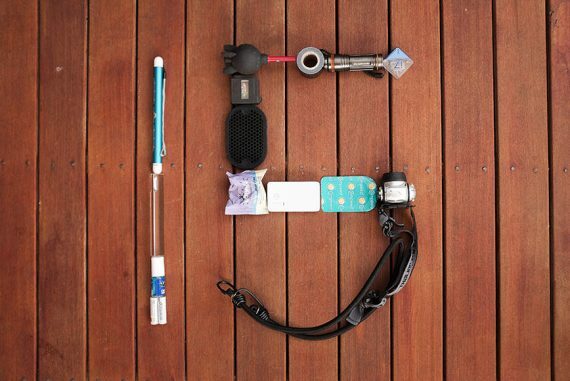 I’d recommend the ‘Personal’ plan which should be more than enough for most photography sites. You can also read a detailed review on why I recommend using WPEngine here. If you don’t use WordPress or need a more affordable solution, I’d recommend Bluehost. You can get a discount on Bluehost’s hosting plans by clicking here. 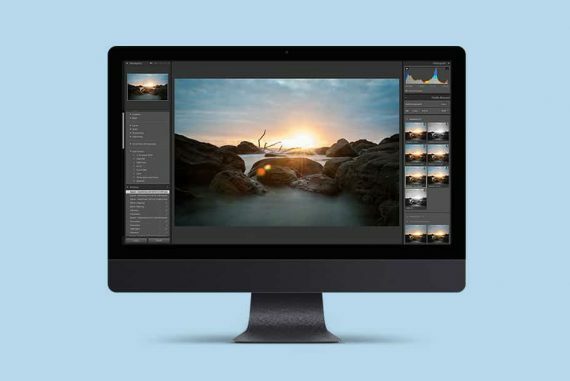 Whilst Bluehost’s basic shared hosting is great for sites that don’t have much content, you’ll want to choose the ‘VPS’ option for your photography site to make sure your images load fast. 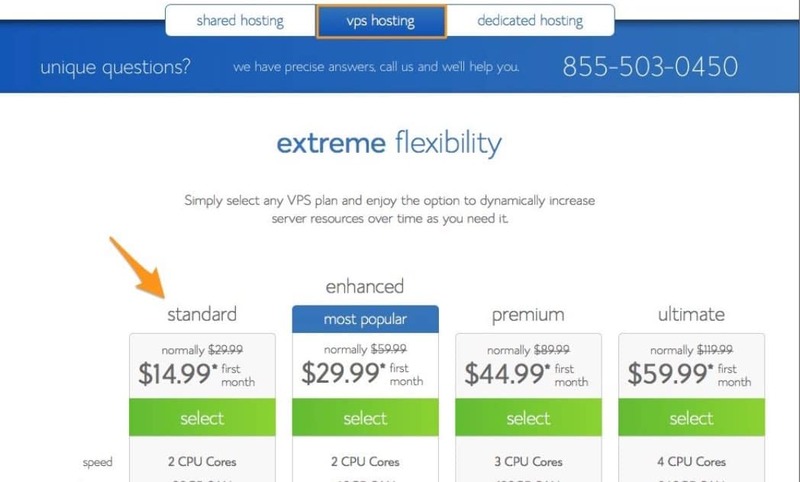 You can save some money by going for the ‘Standard’ VPS plan which is a good start. There are many other factors relating to site speed, but hosting is like your house’s foundations. Without good hosting, anything else you try and tweak to speed up your site won’t be as effective as it could be. 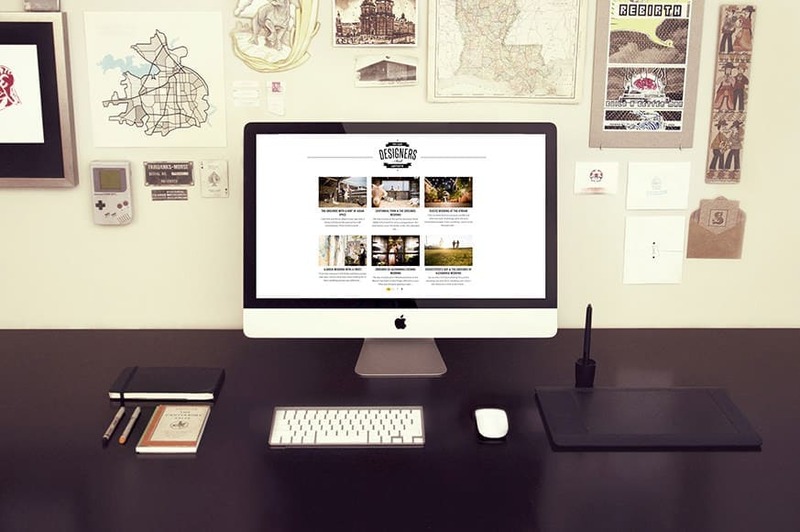 As a side note, a well-coded website theme is also essential for a fast, smooth running site. The WordPress themes I review here are not only good looking and functional, but also feature efficient coding to maximise site loading times. Aside from optimizing the size of your images to help with page speed (I recommend using JPEGMini in conjunction with the free service ImageOptim), you should also think about optimizing the text associated with your images. You’ll want to include your photography keywords in your filenames and as part of the image’s ‘Alt Text’. The Alt Text tells Google what your image is showing, and helps the image rank in organic search results. 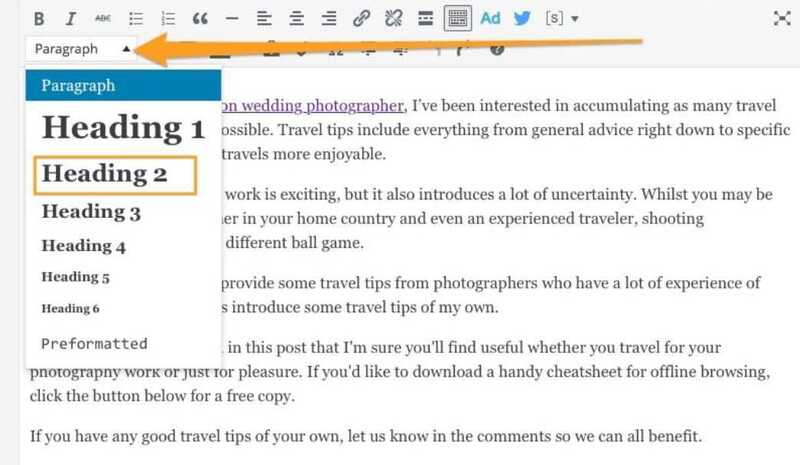 With WordPress, there are several ways to edit your Alt Text. The easiest is to just click an image in your post in the edit screen, then click the pencil icon in the toolbar that appears, then enter your keyword in the ‘Alternative Text’ field. 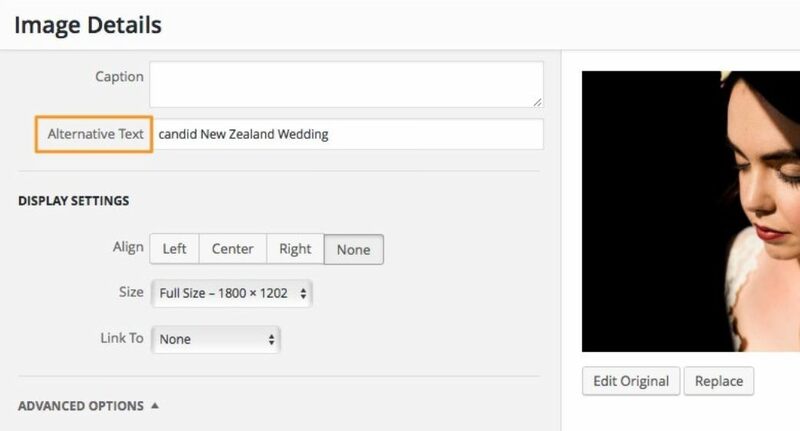 There are also many free WordPress plugins available that allow you to edit your images’ Alt Text in bulk. One word of warning though – don’t go crazy with image Alt Text. I’ve found that Google can actually penalize you for ‘keyword stuffing’ if you have too many over-optimized images. In other words, if you have 100 images in your blog post with identical ‘natural wedding photographer’ Alt Text, there’s a chance Google may think you’re trying to play dirty with your SEO. I’d recommend adding keyword rich Alt Text to a handful of images only. You’ll see the green light in Yoast when you’ve got this balance right. Social media is another place where it’s a good idea to make sure your images are optimised but that’s another post altogether. You can check out my guide to social media image sizes at the link above. This post on On Page SEO is just a small sample of the SEO Tips for photographers included in More Brides. If you’re interested in learning more about the SEO techniques that can really help your photography business, as well as discovering tips on marketing for photographers to help you book that next client, everything’s included in More Brides. To thank you for reading this far, you can use the coupon code: seotips to get a discount at www.morebrides.com. 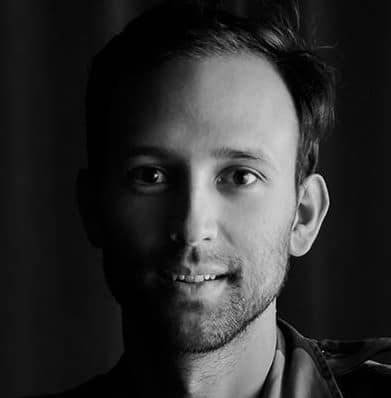 I wish you the best of luck, and please feel free to leave any questions in the comments on the topic of SEO for photographers. Thanks Olivia! I haven’t tried Pixpa before but it sounds interesting..
As a recent joiner, I love the Blogs you have been sending out and particulary SEO. It’s been the pain of my life and the more you read the more complex it seems to be. However, it has been a steep learning curve for me but your Blog seems to put it into perspective. I need to just apply some simple rules when blogging and the rest will follow. New approach for me then, thank you for sharing! Please keep them coming! Hey Barry, that’s good to hear. Yes, SEO’s a complex beast of a topic, but sticking to the fundamentals like the On Page SEO tips in this post will stand you in good stead. Keep your efforts ‘White hat’ and Google will do its thing – you just need to be patient. Good luck! Excellent! Thanks for the comment, J.